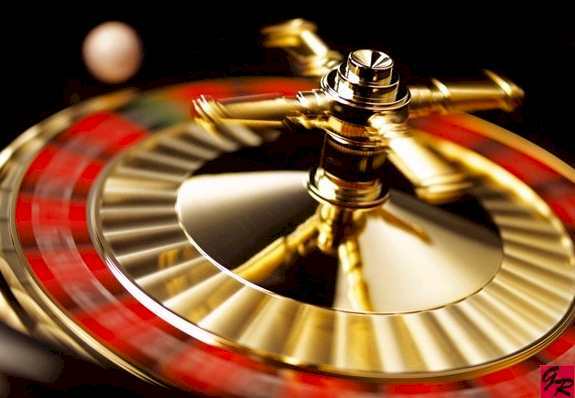 Home » Articles » Are you trading or gambling? Do you want to be a gambler or a professional trader? I’m guessing most people who read this would prefer the latter. But are you sure that you’re not a closet gambler? I used to read a lot of trading books. Back in the early 90’s I started the habit of reading large volumes of trading books. I read everything. Technical analysis books, money management books, trading psychology books, trading memoirs, trader interview books, you name it, I read it. It took me many years and plenty of time in the business to realize how similar most of these books really are. Trading books that target retail traders follow the same theme. They use the same terminology and the same established school of thought. Established by other trading books. They reinforce a certain way of thinking. The approach that they are based on is usually very far from how the industry works. They favor a very romanticized view of trading, where a trader is the lone ranger cowboy, fighting his corner against the market. The idea of what a trader is and what he does is greatly distorted. Even more so, the idea of how he does it. In the financial industry, there are extremely few people who do what trading books talk about. People who sit around and trade their own book with complete freedom are practically unicorns. If you work for a bank and have the word Trader in your title, you probably do something very different from what most people think. Most are just brokers, sales guys or execution traders. Sure, we have the prop desks, but they’ve traditionally been about flow trading. Essentially front running clients, since they know the internal order book at the bank. Yes, they shouldn’t know this and the banks tell the clients about Chinese walls, compliance and procedures, but come on. We’re all grownups here. Much of this has ceased at this point, as regulators have started getting rude enough to actually try to enforce some of their regulations lately. Mutual fund managers follow an index with a very tight tracking error budget. They invest very closely to the index and over/under weight a few issues that they like or dislike. Quite far from what you read in trading books. But what about hedge funds? They often have more freedom than others, but there are still not many funds trading like you’d read about in most trading books. It looks very different on the inside. Money management or money manager? There are many odd aspects of the illusion of trading that’s been established by this flurry of trading books. I’ve mocked magical numbers and holy wave counts before, but there are other less obvious problems. Most rational people can figure out that there are no magical numbers governing the universe, but what about the field of money management? The problem starts with the word itself. It’s a gambling term. The generally established way of looking at risk in retail trading books is based on ideas from Las Vegas. Pyramiding is a great example. So the general idea would be that you increase your position size after success. Say you buy at 100 and after a week the price is up to 110. Since we’re now playing with the house’s money, we can increase the trading size. Right? If this is your way of thinking, you should stick to the black jack tables. The fact that you entered a week earlier has exactly zero impact on probabilities for future price moves. Your past p&l is not a factor. There’s no rational reason why you should take on a higher risk just because you now have an unrealized gain. This is the equivalent of placing everything on red after black came up twice in roulette. It’s just based on a lack of understanding of statistics. There are many odd aspects that always come back in the money management chapter of books. Risk of ruin is another. If you worry about risk of ruin, you’re already far into the realm of gambling. If ruin, as in blowing up the account, is even in the realm of imagination then you’re doing something wrong. Losing half of your portfolio is an absolute disaster from which you will likely never recover. Remember that if you lose half, you need to double to get back to where you started. Losing a third is pretty bad. But if you’re aiming at just short of risking losing everything, than you’re a gambler. Not a trader. Most position sizing approaches mentioned are also from the gambling world. Both terminology and methodology tends to be written from a Vegas point of view. Of course, many of these books are written by people who claim to have turned a few thousand into a few million in short periods of time. That only leaves two possibilities. They are either lying or they are gamblers who got extremely lucky. Either way, you probably don’t want to apply these methods yourself. It’s all about vola control. This business is not about who had the highest percentage return at the end of the year. It’s about how you made it, at what vola. 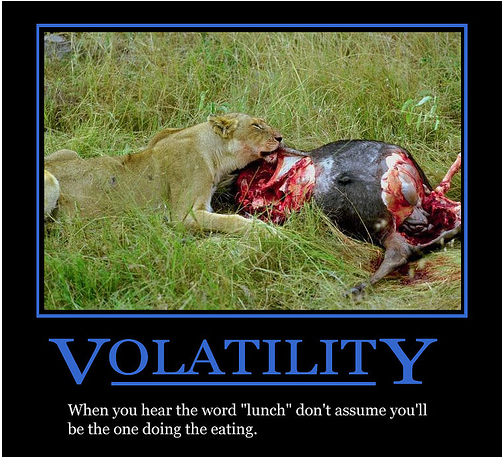 Volatility is the currency we use to buy performance. You want to spend as little vola as you can to buy as much performance as you can. This concept is often dismissed as something that institutional guys and hedge fund managers need to deal with to please customers, but not relevant for anyone else. After all, you’re just interested in the return. Well, there’s a reason we operate like this. The vola is a measurement of risk. Taking crazy risk to get crazy returns is not professional. There are lots of guys who did that and won, just like there are lots of guys with anecdotes about how they flipped a straight flush on the river. Those guys don’t last. They come and go. They are loud when they’re winning and they disappear when they blow up. Vola control is not there as some check box to please demanding institutions who don’t know any better. It’s there because it makes perfect sense. Spent vola must be justified with performance. Vola can be measured in different ways, but the more important point is that it can, and should, be measured both on a position level and portfolio level. In the end, it’s the vola and return on your portfolio that matters. Too much focus on the the position level distracts from the far more important portfolio level. Position sizing, and resizing, need to take the portfolio into account. That last sentence is extremely important. The single most important thing that differentiates a professional from a doomed amateur is expectations. All these retail literature has indoctrinated people with idea that a good trader should have double digit yearly returns. 10-15% per month, every month. At least. With that kind of unrealistic starting point, of course the gambling methods seem attractive. Look at it this way. The very best in the world don’t compound at double digit percentages. They might have an extreme year in that region, but they’re not aiming to stay there. Most of the time when you hear of a hedge fund manager reaching those numbers, it’s because he saw a single extreme probability deal and bet big. Sub primes for instance. Or for my part of the business, when the crash of 2008 shocked trend followers by pouring money into our account at an unprecedented rate. Most of us cut down risks dramatically that year, despite the big profits. Risks were skyrocketing. A trader who can compound at 15-20% per year over time is very good. One who aims at compounding at 100% is a gambler, not a trader. Previous: Is your risk random? Great article Andreas. You are right, many investors do not know the difference between an investment strategy with sound and realistic relation between risk and reward and one that looks great, but is highly risky. Traders and Investors should study those people who have done it over many years and not spend time reading book written by folks who have never managed money in their life. People who do “technical analysis” with not skin in the game should not be trusted either. There are a couple of great resources where you can read or listen to (via interviews on podcasts) some of the great traders and the lessons to be learned will make a huge difference to your future profitability. Thanks again for a great article. I finally purchased your book (I know I am late) and should have it in a couple of days. Does it cover controlling volatility? Got it. However, there is not much information about vola targeting anywhere out there. Maybe you can include it in your next book or an upcoming blog post. Very good article. Here is my argument. In a year of 2008, a good trend following system will get you into the right positions ahead of the crisis. As the crisis deepens, the profits pile in and the volatilities also goes straight up. If you cut your positions to maintain a constant risk, you will leave a lot of money on the table. While a 15% up year looks like a hero as compared to a 50% drawdown on the general market, you could have been up 100%. In years like 2011-2013, the same good system will probably not doing very well and may probably lose money. The volatility comes down significantly so is the consistency of the trends in many commodity market. If you are to maintain a constant vol, you will have to raise the size of your position. In a choppy environment, you will probably lose more. The gambling strategy: to win as big as you can when things are in your favor and to stay alive when things are against you is not necessarily a bad strategy. It might be out of favor in this highly institutionalized environment. But from what I read from the Market Wizard books, this seems one of the most important lessons a few of them has learned from the great Soros. It tends to look very different when it happens though. If you run a simulation of any standard trend model during 2008, it looks like an amazing year. Standard models that used to compound at 20% suddenly went up to 120%. In the sims it looks easy. In reality, it was not. To get the extreme results that the simulations shows, you’d have to be an absolute reckless maniac. You would have seen single day swings of 20% or more. Up or down. There was one week in particular where every day was up or down in that region. If you find yourself being up 20-30% on the year while there’s a massive economic meltdown going on, banks and brokers blowing up like random popcorns and suddenly you start seeing 20% daily swings, you’d be a fool not to cut risks. Running full speed ahead in such circumstances would in my view be a serious breach of fiduciary responsibility. The assumptions that your models were based on just went out the window with this unprecedented situation. Constant vola is not necessarily the answer for everyone, but the returns has to justify the realized vola. My main point is that gamblers are not professionals and professionals are not gamblers. There’s a lot of nonsense being pushed about using gambling concepts in trading. People buy into it, because it sounds cool and it’s easy. But gamblers come and go. They never last. What if you were trading your own money in 2008? No fiduciary duty issue there. Would you have traded the same way? Someone willing to suddenly take on ten to twenty times more risk than usual during an extreme time of crisis is a compulsive gambler. Of course, those few who did looked like heroes afterwards. But for everyone of those guys, there are thousands and thousands who took similar gambles and blew up. We only hear of the once who came out it with enormous gains. Just like you only hear about the lottery winners, and never about the losers. In discussing volatility, adjusting position size, and maybe reducing the size of a winning position as a trend moves strongly in your favor ( the price and often the volatility go up) what do you think of what Market Wizard Tom Basso did in his fund? According to Van Tharp’s “Definitive Guide to Position Sizing” Tom Basso would do the following: Let’s say he enters a market risking 1% of his portfolio using some measure of volatility to determine how far away his stop is (and then sizing his position to risk 1% of his account). As this particular market trend goes his way, let’s say the volatility increases, and after a period of time, this winning position is now, from it’s current price to his volatility adjusted stop a risk to his portfolio of 3%. In other words, if the trend reversed immediately and went down and hit his stop, the entire portfolio would experience a loss of 3%. Tom Basso decided, as an example, that he didn’t want any position risk to be more than, say 2% of his portfolio as the trend continued. He would then continuously adjust this position by selling enough contracts so the distance from the current price to his vol adjusted stop would never exceed 2% of his portfolio. Essentially what this does is force a trend follower to sell bits and pieces of their positions into the strength of the trend, and also when there is an increase in volatility against the position. This has the effect of reducing returns but also significantly reducing drawdowns. Tom Basso’s returns were not huge by Market Wizard standards but was considered by Jack Shwager to be perhaps the perfect trader (balanced life, detailed and automated trading system, complete comfort with market volatility). I’m fascinating by this approach but I wonder what an expert like you thinks of this particular technique for managing portfolio volatility? Most of what you read about position sizing is highly simplified compared to how today’s hedge funds work. I haven’t tested this method by Basso, and perhaps it works well. It does feel a bit simplistic though, and it’s still based on the old school ‘single position in vacuum’ way of thinking. When computing power was not readily available, methods were simpler. As the industry has matured, the way risk management is handled has evolved dramatically. I don’t know Tom, but I do know some of the famous old school guys and consider them good friends. When I was new in the business, I was reading all the books about them. As I got to know them, I found that reality often differs substantially from myth, and most of them have a good sense of humor about how they are portrayed in trading lore. It’s not that they are necessarily better or worse than the ‘official story’, but reality is often very different. Thanks for the reply. I got the impression from reading about this method that someone using it is supposed to decide, as an example, that they never want to experience more than, say, a 20% drawdown. Once this decision is made, let’s say that their account has currently 10 positions in various markets. (I realize of course that this is highly simplified since correlations are not considered in this example, just a broad basic example). Some of these positions might be new and are still at the original 1% risk to the account, others may have moved well in favor and the manager is limiting his risk in those positions to no more than 2% of the account. Let’s say for simplicity that 5 of the positions are new and have a 1% risk. The 5 others are trending well and the risk from the current price to the stop is 2%. Barring overnight gaps, the account has a current drawdown risk of 15% assuming all positions stopped out from the current point. My question, then, is more about this type of concept for an individual trend follower who maybe isn’t going to use the most sophisticated models to manage their relatively modest-sized account. Is it foolish or wise to decide ahead of time that you are only willing to tolerate a certain total drawdown (say 20% max) and thus constantly adjust your positions (we are using volatility stops in this example) to make sure that the worst-case scenario (all positions stop out from this moment in time) doesn’t exceed a threshold? In other words, would we do better to place our trades (with whatever position sizing technique) and then just trail a stop for each position and just “let it play out” -dealing with whatever drawdown comes our way or is it better to set a pre-determined limit to drawdown and constantly adjust positions to not ever exceed a drawdown limit? In the hedge fund world, vola control is key. This can be quite complex of course, as can stress testing which is used to estimate worst case scenarios. If you don’t have access to such methods, you can use simpler estimations. If you’re working with systematic strategies, you can build realistic models, and do make sure they are actually realistic, and measure the drawdowns there. Then assume that something much worse than this will happen to you. Probably in the first year. If you can survive such an event and stay in the fight, you’re fine. Just remember basic math: If you have a 50% drawdown, you need 100% return to get back to where you started. Actually, you need more to cover the costs. At some level of drawdown, you will be out of the game. A hedge fund rarely survives a loss of 50%, or even 40%. The effort to get up to HWM is simply too high. As an individual, you might use different numbers. One way to look at it as an individual, is to see your account as a ‘managed account’ as opposed to a fund, to make a comparison from the industry side. In a fund, you need to put up all capital. If you want to participate with a million, you first pay in a million. But for a managed account, you only need a fraction. If you want to participate with a million, you only need to put up what’s needed for margin. Often around 30%. The account is still trades as if it’s a million, even if you only funded it with 300k. You could use the same conceptual logic for you private account, with the obvious higher risk of blowing the account up. On your original question though, I don’t really see why anyone would increase the trade size just because you’ve got a gain on it. Your gain has no impact on probabilities for the future, so why increase size? Either the risk was worth taking before and you should have taken it earlier, or it was not and then you shouldn’t increase now either. Why are you positive that the probabilities are not altered by the fact that the instrument has moved favourably? It’s very easy, Epiphany. This is very basic logic. We’re not talking about any price patterns or exploitable market phenomena here. Simply of whether your past decision to buy a stock affects it’s future price direction. To increase risk simply because you happened to buy at a better price is a logical fallacy. It’s based on misunderstanding of basic math and most proponents simply quote trading books without properly considering the implications of such logic. If you overslept and simply missed to take that first trade at 290, should you now then take on double risk at 300? Or did the probabilities improve only if you actually traded at 290? If it did, then shouldn’t you trade much more often to further increase probabilities? And shouldn’t I hire you to trade in-front of me, so that I can benefit from these high probability situation that you can create? If the probabilities are really higher after you enter, perhaps I should trade only after you. I know I’m pushing it a little here, but I’m just trying to make a point. The probabilities are not altered from a favorable move, simply because the market doesn’t know what is favorable to you. The market doesn’t care. Don’t confuse this with market phenomena such as the momentum effect. It”s a very different thing. In strong trends, the probabilities tend to be higher for a continued move in the direction of said trend. That’s regardless of whether or not you traded it. If you keep increasing your position in that trend when it goes in your favor, you’ll likely lose it all when the market turns and you’re sitting on a hugely over-sized position. Thanks very much for replying. I am slightly confused, and I’m suddenly aware that I explained my question quite poorly, I’d be much obliged if you could clarify one thing to me. This might be out of the realm of strict trend-following. In most trend-following set-ups, we enter because a trend has begun as per our parameters (whatever they may be), but those parameters themselves are arbitrary in the sense that market doesn’t really care about them. If one was trading a breakout from what was perceived to be a critical price-range or congestion area the price moving in the direction of the break-out acted as a confirmation that the breakout was ‘genuine’. Therefore, in the words of Livermore, it was ‘simple arithmetic to prove that it is a wise thing to have the big bet down only when you win, and when you lose to lose only a small exploratory bet, as it were’ This is the logic of pyramiding that I understood from the most authentic sources I found. This isn’t exactly the same as buying more because we have a profit. Do you agree with this logic, to any extent, or do you think it’s entirely bogus or based on poor reasoning/faulty assumptions. 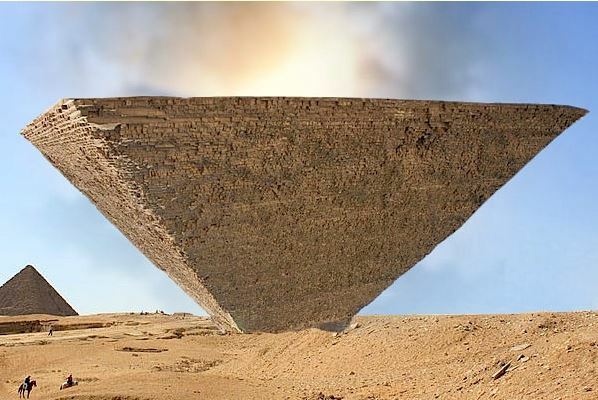 When you speak of probabilities you make the entirely correct that if the probabilities have increased, and we missed the first trade, we should logically take double the risk, if we believe in pyramiding. My first reaction to that is that this entails more risk than if we had bought earlier. From what I gather, you feel this is irrelevant, because if the price is 300 and we have 1000 shares, then we are risking the same amount, irrespective of whether we bought them at an average of 295 or 300. Following from that, my question is do you feel money management based decisions are to be avoided, or is money management to be used only to reduce our risk levels, but not increase them? I.E. Are we supposed to treat open profit as though it’s money already in the bank and giving it back is the same as taking loss on a fresh position? In my view, this whole way of thinking comes out of the gambling world. It has little to no basis in logic or math. All too often, retail traders pick up these ideas in books written by people who got rich by gambling in the markets. The concepts they teach are very, very different from what’s used in the hedge fund industry and other areas of professional trading and investing. One very key thing to understand is that the decision tree starts as of now. Always as of now. Your past decisions don’t have any impact. Look at a very similar situation. You’re looking at a stock that you’re holding in your portfolio. You come to the conclusion that you wouldn’t buy it now if you didn’t already have it. But since you already have it, and since it has an open profit (or loss) you decide to keep it a little longer. That’s just the same logical fallacy. Not selling the stock is the exact same decision as buying it. The result is exactly the same. Acting differently because of the stock’s status in your portfolio doesn’t make any sense at all. For the same reason, the amount of open PnL on your position should have absolutely no bearing on your decision to keep or increase it. It’s a non factor. Money management is a horrible term created by gamblers. There’s nothing wrong with varying your risk of course, but you need to do it deliberately and for a valid reason. The problem is that the term risk is an extremely misunderstood term. 1) As the futures market is more or less a zero sum game and you (and many CTA funds) make on average 20%+ pa (before applying your fees) using trend following strategies, who do you see as the losers in the futures market? 2) You mention in several places that trading is an evolving business and that there is a constant need to adapt in order to stay alive. At the same time however you describe relatively simple trend following strategies that have made billions for CTA funds over the last decades. Or would you say that the CTA funds have adapted their core strategiesm, and if so how? Or more generally if/how have trend strategies changed over the last years? The short answer is that it doesn’t really matter who loses. As long as it’s not yourself. Futures is in theory a zero sum game, and in reality a negative sum game. I don’t really spend much time worrying about who’s on the other end of the trade. In the end, there’s no way of knowing. You definitely need to keep evolving. The idea of making a trading model once and just ‘stick to the rules’ decade after decade, is not a very clever one. Most of the people who say that sell trading systems for a living. Do a simulation of the original Turtle model for instance and see how many times you would have gone bankrupt. The markets are changing and the business is changing. Vola control is much more important now than it was twenty years ago. We’ve seen dramatic changes in correlation patterns and market globalization. Everything’s getting a lot tougher. Finding sources of real diversification is the largest problem for CTA funds. Early on, diversification was just about different markets. That’s still valid of course, but now it’s just as much about diversification between time frames, model style, synthetic markets and other factors. Most shops run many models that aim to add to the diversification. This is likely helping to smooth returns, but also lowers them. It’s rare to find pure trend followers these days. You’ll find many shops that are primarily trend followers, but the pure ones are uncommon. Thank you for the reply Andreas. Hope you don’t mind a quick follow up question on 2. In Chapter 7 of your book you replicate with astonishing accuracy the returns of 7 successful major CTA funds going back over 20 years. You do this with a relatively simple pure Trend Following strategy. Now, when you say above that there are very few pure trend following funds, do you mean that these 7 funds that you replicated are very rare and part of a dying breed? Or even that those 7 funds changed their strategy in the past 3 years since you performed the analysis in Chapter 7 of your book? Reverse engineering the past is easier than predicting the future. If you go back ten years, there were plenty of large funds applying only simple trend models. After 2008, a large amount of startup funds came long with only those models too. Many of those are now dead. I see more variation between funds these days and that’s likely due to a diversification between strategy types. Whether this turns out to be good or bad is just something we’ll have to wait to find out. Many funds did change in the past three years, for the reason that pure trend following didn’t do very well. Perhaps in the next three years, pure trend following does great while most funds moved into other types of strategies. There’s an old curse in this this business, saying that you’ll always have your best performance with the least amount of capital. I find it quite apt. All too often, both investors and managers shift towards strategies that worked the past year or two. Meanwhile, the under allocated strategies which failed the past couple of years, suddenly starts performing great. Haha! Well, it’s a bad idea to stick to a trading methodology like a religion. Trend following will work in the long run, but you can’t just stick your head in the sand and pretend reality doesn’t exist. Most likely, trend following will work great over time, but vola is increasing and returns decreasing for now. Might reverse, but we all need to adapt. I am an amateur trader. I trade only equities cash using very simple technical analysis. I size my positions so that the buying price minus stop loss level is 50 bp of my account. First I look for a “logical” stop loss level. Tight logical stop loss level implies bigger position so I might look for that as the significance of breaching support is the same for all stocks no matter how volatile they are so it makes sense to me to look at this levels and disregard vola. If the trade goes is my favor I move the stop up to support levels until is take out. (stone age I know). The result is that when trades go in my favor the account is very volatile since my stops are not ATR based. Neophyte question : Is this bad as long as my initial downsize is limited to 50bp ? Hard to say if it’s bad or not, George. If it works for you, and you’re comfortable with it, then it’s fine. The danger is that your vola is uncontrolled. Vola is the currency used to buy performance. This is a critical concept in professional trading. If you don’t know your vola, you’re flying blind. It’s not a matter of whether or not it’s good to take on big risks. It may very well be at times, but my primary point is that you should always be aware of your risk. And to be clear, your actual risk is more related to your vola than to the distances to stop loss points. Andreas you manage a hedge fund. Could it be that this makes you more conservative that you would be if you were trading on your own ? I’m not saying it is a bad thing. But you should also consider what that means. In general, professionals trade with significantly less risk than hobby traders. If anything, we have even stronger interest in generating returns. We make our living by generating return and we get paid well for it. Given that professionals (hopefully) have greater experience, knowledge and resources, this opens the question as to why they take less risk. If I were a hobby mountain climber, and I suddenly realize that the professional climbers with decades of experience are being more careful than me, I would get a little worried and reconsider the risks I’m taking. I think professionals are way better that amateurs. In fact they take our money regularly. Professionals make money even if they are flat so they may sometime think that they don’t need to take even the risks that they should take. Amateurs don’t make money being flat. So we, as amateurs have to find a way to push it without taking excessive risks. But we need to push it. ”Volatility is the currency we use to buy performance. You want to spend as little vola as you can to buy as much performance as you can.” I like the way you put it. But how do you exactly measure vola ? Looking at max drawdowns on a monthly and yearly basis and comparing those with performance ? Or is this too simplistic ? Thanks again for taking the time to reply to my questions. I have a couple of questions on the concepts of position sizing using your formula in your book ‘Following theTrend’ and diversification in general. The formula on sizing you presented in your book, albeit, a personal pick of risk factors made me ask some questions about the sizing method compared to what i have seen. You picked a 0.002 risk tolerance in your formula, and you take point value in the denominator. In my mind, the formula you used is pretty the same as in the financial literature, you are just weighting your risk tolerance dollar value with a stop loss dollar value measured by the ATR. But normally stop losses are put around 2 to 3 times their value in order to leave only the extreme outcomes uncovered. Do you skip that supplementary layer of risk on purpose or you mechanically add this layer in a subtle way with your 0.002 in the numerator? I also have another question, say we have a capital of 5M, and we want to invest in 12 diversified markets, normally i would say i would risk 1 % of that on each market and then size it. But before that you need to divide the 5m by 12 right? With this method, and using your fomula, i would have a very limited amount which will either stop me from trading the contract or barely buy one contract as the collateral posted will be 5/12 * 0.01, then divide by the ATR * point value. I feel it becomes extremely restrictive in terms of exposure. Or, my calculation is wrong, and you apply the 5m in all 12 markets, and mathematically speaking, your risk will be around 0.002 * 12 = 2.4 % of your capital. In summary, do I need to sub divide each market equally and do the sizing, or the choice of the risk factor do it automatically for you, if you put it in a low reasonable range. I’m not sure I really understand, Dave. Sorry, I don’t understand at all. Stop loses at 2 to 3 times the value of what? No, not really. If you start dividing the capital, you’re thinking in terms of cash allocation. That’s not the way to do it. Think of it in terms of risk allocation instead. No need to divide the capital. Forget notional amounts. That’s not important. Also, be careful with the expression “Risk 1% per trade”. That can mean something very different, depending on if you’re talking to hobby traders or professionals. I’ve noticed that in the hobby community, people usually confuse the work risk with the concept of how much money they would lose if a stop is hit. Totally different things. What kind of volatility model do you use in your hedge funds. ? I’ve read a few articles on your website here and I really enjoyed them. I’m new to investing but I’m also a senior in school graduating with a degree in finance and a minor in stats. What books do you recommend for someone that wants to learn the fundamentals of trading stocks long term? Say 6 months and up. Also, I’ve scoured over many stock metrics at finance websites and so far there isn’t anything new that I haven’t seen in school so it makes it easier to understand the data. Do you recommend I take more math at some point to develop my own models? I barely understand how to apply concepts like STDEV to investing in stocks. I appreciate your reply. Keep up the good work! I came across your website and must say I find it quite the read. It is nice to see you are still active on it as well. My comments are probably a little too late for this article but I thought I’d share my views and questions on it. While I agree with you sentiment in that pyramiding can be very reckless, I have seen some merit in doing it whilst at the same time keeping the risk confined to only a slippage or black swan event; something I was hoping you would have delved into further in the article. For example, let us say you follow some common trading practices such as using ATR to determine volatility, and base position sizes and stop losses on that. Why would the risk be increasing if you were to place the initial order with 2 x ATR + spread / commission, and then if the price moves in your favour, after another 2 ATR place another trade (with the stop loss moving up to the new entry minus 2 x ATR), and so on up to a limit for pyramiding? The prior trades effectively are no longer at risk but the return is multiplied early on in the start of a trend, so at best you would either make a far larger amount on a good trend, with your risk still being the initial 2 ATR, and at worst the risk is the entire pyramid of trades if there is a large move against you and slippage – that is all assuming you don’t guarantee them either, in which case the pyramiding risk is negligible. In that circumstance, would you still say pyramiding is like gambling, and if so, by extension couldn’t you then say any trade is a gamble? When you say the very best in the world, and continue on with your statements, by your wording it is inferring that hedge fund managers are the very best in the world and trying to get returns beyond what they get is akin to gambling. While I applaud you putting people into more firmer grounds of reality on the website and highlighting to the readers to not risk more than they should, I also seem to think you do a dis-service to the individual traders over the decades who decided not to start their own fund and managed to make far greater returns. Some could argue that they could afford to take more risk than if they were running a fund, due to the 50% drawdown limit on funds for example. You could also say they didn’t have investors to pander to and hinder their strategy, or the larger amounts of money involved in a fund limited their prior strategy. You could even argue that the governing bodies for Financial Services in some countries wouldn’t interfere, as there is usually legislation in place to keep a funds volatility low (even if it means the returns are very high) for standard funds. I suppose what my long-winded question really is; do you think all these extremely successful traders took excessive risks to get the returns that they did, or even a mixture of excessive risk to get the initial capital and then toned it down to get a more moderate return with less risk? Thank you for your time, and I look forward to reading the rest of your website. Valid questions. Let me try to explain my points. Risk isn’t about how much money you lose if your stop is hit. At least that’s not how risk is normally defined in financial models. Risk has to do with your economic sensitivity to one or more factors. If you, in your example, double your position size you will have twice the risk (assuming static vola). Even if you move your stop closer. That can work in your favor, or against you. But your risk is double. Does that mean that everyone who uses pyramiding are wrong, and I’m right? Well… perhaps not. But it’s fun to generalize and it’s much easier to get people to pay attention if you do so. While I don’t think that pyramiding makes sense, there are of course people who do that with great success. For those people, it’s all dandy. Most people would probably be better off never even trying it. Are hedge fund managers the best in the world? Not necessarily. Are the best in the world hedge fund managers? Probably. Or at least they were at some point. That’s where the economic incentives are geared towards. Just like how the best basket ball players in the world are likely in the NBA or on their way there. It’s where the money’s at. Are there really skillful individual traders out there, making stellar returns at controlled risk? Sure. They are in a tiny minority of individual traders, but sure they’re out there. The hurdles of entering the professional asset management field is going up fast, as you rightly point out. Many of them may have a hard time getting accepted, since they might have the wrong education, background, age etc. I certainly don’t want to discourage these people. And yes, I think there are a lot of successful traders out there who started out with crazy risks, got lucky a while, made a fortune and slowed down. Nothing wrong with that approach, but most who try it will get knocked out early. You could argue that the original Turtle program is a great example of this model. Trading the original model would have made you blow up all your money many times over in the past decades, but trading it when they did built a fortune and a reputation on which several hedge funds were founded. At times I make obvious generalizations in my post to get a point across. An article like this is just me having a bit of fun, making some hopefully valid points while ranting about stuff I don’t like. Don’t take it too seriously. Thanks for responding, especially so quickly. It’s interesting your comment regarding risk; I am getting the impression that you define risk on how much is put into a trade, similar to asset allocation rather than the risk as defined by a stop loss, and in general having higher positions on an allocation can increase the risk in a portfolio due to correlations? The reason I say it is interesting is because you don’t generally find in systematic trading system websites, or books for that matter, the impact of portfolio and correlations on the returns and risks as you would, for example, traditional investment books. I have to admit the hurdles for asset management are increasing, in most countries. I suspect it’s from the 2008 fallout still! For the most part though, it is to make it safer, like the Client Money Rules that came into force in the UK for example. The increase in legislation has happened before though and eventually the laws get lax again and similar things occur again like 2008. Seems to be a cycle from what I have read about the subject … Would make for an interesting article I think. The Turtle program is a good example of that – I recall seeing the CAGR up until the 90s was astounding and then it went flat, and negative from what you’re saying. I imagine it’s due to the increased volatility leading to more false breakouts, and increased noise from the substantial increase in speculators over the last couple of decades. I’m quickly gathering from the website that you make generalisations and have a bit of fun to make points, which makes for entertaining reading! I’ll keep an eye out for your books for some reading on the beach! The reason that you see these odd risk definitions in trading books, like defining risk as the money you lose if your stop is hit, is that most people writing books and blogs about trading have approximately zero education or experience in finance. Another reason is of course that some may understand what risk is, but decide to simplify it for their audience. As you know, one should never generalize. Ever. Imagine two separate portfolios. You and me both have a million dollars. We both buy Microsoft for the all of the money. We both now have a portfolio consisting of 100% MSFT, both bought at the same time at a price of $100. You have your stop loss at 90 while I have my stop loss at 80. Who has the riskier portfolio? Of course we have the same risk on our portfolios. Risk has nothing to do with the stop distance. While risk is a touchy topic even among risk management professionals, approximately everyone in that field would laugh themselves silly over how most trading books approach the subject. What’s normally considered is daily mark to market variation, value at risk, covariance matrices, stress testing and proper methodology. Not how much you may theoretically lose if the price moves down to some stop point. Risk is a complex subject. Somewhat simplified, what we care about is the likely daily impact on portfolio pnl, as well as stress scenario impact. That made me laugh! Classic. I think you are right about either the lack of experience or to make it simpler, especially when it comes to OTC and leveraging like with CFD’s! Good explanation; do you have any recommended books on the subject? Would you normally treat leveraging any differently or simply work out based on the leverage as if you were putting the real money in for those types of products? I think I know your answer but you may surprise me! Leverage is, in itself, irrelevant. What I mean is that holding a notional position of 200% in Eurodollar isn’t necessarily riskier than holding a 10% notional exposure in Palladium. It’s all about volatility and portfolio level impact. To be perfectly honest, I don’t understand your example. Not sure what ‘putting 2% towards an asset’ means. The normal way to size positions is to look at daily expected impact on the portfolio. You may say that a position should have a daily mark to market impact on the portfolio of 20 basis points for instance, assuming some historical vola measurement will be reasonably stable in the near future. You might also want to look at stress scenarios and use that to cap the size. Then you go from there and let the notional land where it may. Or you may say that your entire portfolio should have a yearly vola of X. Then you need to rebalance regularly, looking at the difference between target vola and realized vola, resizing all positions as needed. Looks like it would be a good read, and the reviews are rated highly – I’ll give it a whirl thanks. Sorry, I should have been clearer in the example. It’s similar to what the ‘trading’ books and websites have you go on risk, so let’s say you have come up with an arbitrary figure of 2% of risk per trade and the trades are leveraged and a volume per Pip is placed. 1) so we will ‘risk’ 2% on this trade, with a stop loss needing to be X ATR (0.19 for the period times 2 lets say) from the entry price; not taking the bid ask spread into account, it would work out to be a volume of $52.63 per pip, and if the price moves to 14.76, then that’s the $2000 lost on the trade. 2) In contrast, you could say the whole $2000 is at risk, so the volume to order should be $1.32 (again not taking the bid ask spread into account), so if the price went to 0, only then would you lose the whole $2000 on the trade. The second one is more responsible; however, you’re looking at it from a portfolio risk and volatility perspective as well, so it seems the arbitrary 2% risk for sizing is a fairly inappropriate way to look at the sizing in the first place! Hi Andreas, I’m pretty new to anything trading related; I knew nothing, I’ve never been interested, then stumbled upon it by chance and got hooked. Anyway, thanks for all the info on this site and your books. Currently, I’m reading the one about the momentum strategy for stocks, and I’m curious if I understand things correctly. Firstly, can it be said that while trend following (i.e. breakouts, diversification across zillions of things, shorting, etc) doesn’t work well with stocks, a momentum strategy can be a substitute for trend following in general (e.g. for futures)? The other thing is about position sizing. With your momentum strategy, we’re ranking stocks based on their volatility adjusted momentum, then forget about the momentum and size our positions based on just the volatility. Can there be any value in incorporating momentum into the position size? Buying more of the high momentum stocks, less of the lower momentum stocks, then ending up with the same amount of volatility on average. Or, would such a practice assume knowing too much about the future? * “substitute for trend following”: I don’t mean a complete substitute necessarily, more like adding some extra diversification used alongside a breakout based strategy. * position sizing taking into account the momentum: Let’s say I’m not talking about stocks, but a more diversifiable portfolio, where correlation is lower (if that matters.) I think I get the point where I’m paying with volatility for return (am I getting it right?) but then wouldn’t it make more sense to buy more of the cheaper return? Another question (4th) is whether applying the same trend following strategy over different time frames can be helpful for diversification. Can it add value to a strategy if I, for example, allow to go short (with a smaller position, i.e. selling some of what I hold) on something that looks like the start of a temporary counter trend while I keep holding on to my (larger) long position (which still hasn’t hit its stop loss) on the longer time frame? 1. Yes, I prefer to use the term momentum for stocks, since it’s really quite different from what trend following generally means. Sure, you could argue that I’m splitting hair, and perhaps you would be right. The reason that I keep pushing this terminology is just to highlight the differences. 2. You could definitely use momentum as a weighting factor. I do that on several live strategies, as do many momentum indexes. You may want to combine momentum with another factor, such as volatility of even *shudders* market cap, as the indexes tend do to. 3. I find added value in taking vola into account. It’s not a static factor of course, so it necessitates rebalancing. 4. It might be helpful. Might. You’re likely to find that some time frames work much better than others. Hint: Long term works best for stocks. 5. I would not recommend going short. At all. As for #2, I am definitely planning to use volatility for position sizing, but I was unsure if there were things against using the momentum as well; thanks for clearing that up! Are there best practices for that? I.e. can I just use it as a simple weight, or is that too crude to be safe? As I see, it could lead to a serious decrease in diversification if most of the momentum falls on just one or two things. I can’t understand why somebody would want to use market cap though; is that about liquidity maybe? If so, aren’t there better measurements for that than the market cap? Or am I missing something? As for #3, I was thinking about taking into account the volatility of volatility itself, but I think I’ll leave that question for much later. Something related though is what I just read Cirillo & Taleb’s paper about violence (http://www.fooledbyrandomness.com/violencenobelsymposium.pdf#page=21); it reminded me that the sample mean can be much lower than the actual mean. Now I’m wondering if it would be prudent to rescale the measured ATR based on the expectation that the actual mean is larger than what I’m seeing. Momentum on futures: I guess I put myself in this boat, but now it gets really messy with the terminology. It depends on your definition really. The way I describe momentum, it’s a lot about ranking investment vehicles. For futures, that need isn’t as as strong since you’ve got so much fewer markets to chose from. Sizing on momentum: Be careful about extreme values. You may want to z-score and winsorize. No, I’m not going to explain that further, but that’s a hint you may want to look into. Market cap: Two reasons. First, for liquidity. That makes sense if you’re expecting very large amounts in your strategy. Second, because nobody ever got fired for buying IBM. I have a theoretical kind of question about positions. Can we say that a good trading model can be completely independent of the past in the sense that if I started with an empty portfolio this moment and just looked at the current market conditions (including its recent history, obviously), then I would end up with exactly the same positions that I would be holding had I been trading for years? I came to this question when I read in your book that if the S&P 500 goes below its 200-day EMA then we should never buy, but we don’t necessarily need to sell what we’re holding. I’m trying to reconcile the two ideas; I really want to believe my above (awfully idealistic) assumption, but I’m sure you have a reason to say we just don’t buy, but not necessarily sell. Is it about the costs of trading maybe? I enjoyed reading your articles on normalizing term structure and have a question. How would/could your normalization technique be applied, if at all, if one was analyzing a spread be it inter or intra market? Would one normalize the term structure on both sides of the spread subtract them and use the difference as the analysis metric? I.e., can your normalization technique be used to indicate that, for a given spread, that the directional bias is long/short/neutral and that it’s a good idea to take entry signal only in the direction of the normalized spread bias? An entry filter of sorts. I agree with you about most of your content. As I started trading, I tried to do what I could to make it right. Part of this was to read as many books as possible . . . I had the same experience as you. After reading a lot of books about retail trading, I got this feeling, that most of the books were saying the same, and I thought I did like most of the books said; but my account was in red – I could not understand it – it was very frustrating. What made the difference for me was when I started to focus on the trading industry. When I first focused on the participants and the conflicts of interest in trading, that was the time I got profitable – I have never looked back since.